Kundalini Yoga gives you a direct experience of your soul. It illuminates your self-imposed limitations and offers tools for making positive changes. Put simply, it gets you mentally, physically and spiritually fit and fast. It supports you to step up into the most authentic, healthy and radiant version of yourself – the true you, your soul, or Sat Nam. Beyond that, having helped realise your infinite nature, it will also offer a direct experience of universal nature – of your connection with all things. Of the non-dual nature of all things. This is the basis of Kundalini Yoga and of Tantra – that we are all. As opposed to our general, society-conditioned focus on me. All yoga works to raise the Kundalini energy – your dormant potential – but Kundalini Yoga, as taught by Yogi Bhajan, works fast and effectively to whip you into gear. This life-force potential (the Kundalini energy) is what creates you, what creates changes during adolescence and what lays dormant until raised. Through kriyas (which means change but refers to a specific set of exercises), Kundalini Yoga works through blockages in the body. Blockages of energy that will have been created through emotional upset, often started in the mind in reaction to events in our lives, which then manifested in the body. It is from blockages in our energy system that illness develops. Kundalini Yoga is tantric-based in that it works to bring awareness of energy. What areas of your life you’re feeding or suffocating with energy and how your energy is directed or withdrawn from others. It helps you to become aware of others’ energy too and the interplay of energies as you interact. It is for this reason that Kundalini Yoga is also known as The Yoga of Awareness. Mantra is one aspect of the teachings. All classes will ‘tune-in’ with the Adi Mantra – Ong Namo Guru Dev Namo, which means, I bow to the divine within. It sets the intention for the session – that this time is for you to connect with the true you, your soul. It also connects you to the ‘Golden Chain’ of teachers – a lineage of the practise. All sessions will then close with Sat Nam – truth is my identity. Take a listen to this beautiful recording by Snatam Kaur – a popular singer of Kundalini Mantras. Just listening to her soulful intention will offer a taste of these wondrous teachings. Mantra music will usually be played in Kundalini classes to assist in the process of change, help you find rhythm during dynamic exercises or offer a focus for holding positions. Mantra simply means mind distraction and is a useful aid for meditation but the language is also based on resonance that’s designed to harnesses your magical body as a musical instrument. Read more about mantra and chanting kirtan here. If you’ve tried other forms of yoga then you will recognise some of the Asanas (physical positions) but, being tantric-based, these are then used in a dynamic or holding way, to open up specific areas or aspects of the body and its energy channels. We might, for instance, hold a Downward Dog pose for three minutes, or continuously do forward folds for three minutes whilst working with the breath and pulling an energy lock (bhanda). Breathing exercises, or pranayama, is another strong focus for Kundalini Yoga. As is meditation. The full format of a Kundalini class will start with tuning in, warm up exercises (usually focused on spinal flexibility, which then allows our energy channels to flow more freely), a pranayama (breathing exercise), a full kriya (change) / set, deep relaxation and then meditation. Yogi Bhajan brought Kundalini Yoga to the West in the ‘60s. Until this time, it is said to have been hidden as a Raja Yoga – a style kept secret for royalty or those who have progressed to a high level and are welcomed to initiate). But he saw the changes going on in the world – the hippies fed up with society and wanting change but not knowing where or how to find it. He offered them tools for change from within. He gave people a direct connection with their soul, their infinite nature and their connection to all things. 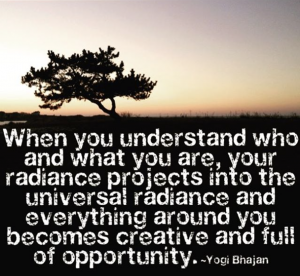 Kundalini Yoga will give you the courage and sense of connection necessary to become more aware of you and your life. It will offer tools to make positive changes. It will support you to step up into the most authentic, healthy and radiant version of yourself – the true you, your soul, or Sat Nam. Our Beginner’s Kundalini Yoga Course starts this Friday – four sessions, run over three weeks, offering the foundations of the practise in a slower, deeper format, building you up week-on-week. We run regular Kundalini workshops at Yoga Kula, please check out our range of workshop here. If you’ve read this far then you’re reading for a reason – you’re touched – answer the call of your soul.